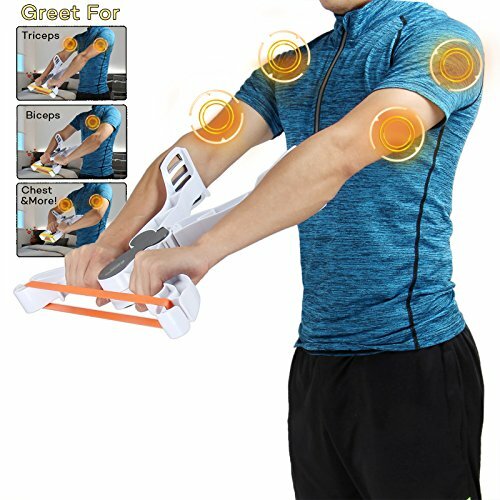 This Wonder Arm helps You get rid of flabby arms! The secret is the unique dynamic resistance movement that works Your biceps, triceps, shoulders and chest all at one time, for amazing results You cannot imagine. Instantly feel muscles toning and tightening as You burn calories without joint strain! Portable, collapsible and durable material. Perfect for all fitness levels from beginners to advanced. Step 1 - Swing outer arms up into open position. Step 2 - Insert resistance band based on the skill level You want into the resistance band slot, securely in place and laying flat. Step 3 - Grad hand grips and place arm rests on Your forearms.